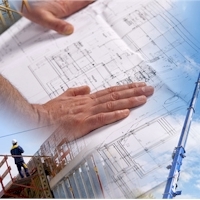 Optimizing a large or small construction project means allocating the right personnel at the right phase in the project, consulting resources with the right skills to fit the needs or guidelines, The client’s deadlines and the programs make up the business side of the company’s strategic plans. Avianco's solution allows you to coordinate resource scheduling with project schedules and to make adjustments as needed for delays in projects. Having staff with the right skills, at the right place, at the right time, at the optimal pay rate for a given project makes all the difference and helps distinguish organizations as "world-class."